Man, I love to eat new foods. In fact, I find that food is on the top of my travel list and one of the first things I plan. Many times, I plan a whole day around where I want to eat. Good meals are essential to me and when I have a chance to travel and taste local favorites, then I’m all over it. Seafood can be really interesting, because fish can be light and flaky or dense and meaty. You can have shellfish one place that tastes completely different from the same shellfish somewhere else. Providenciales (or Provo) in the Turks & Caicos is no different. 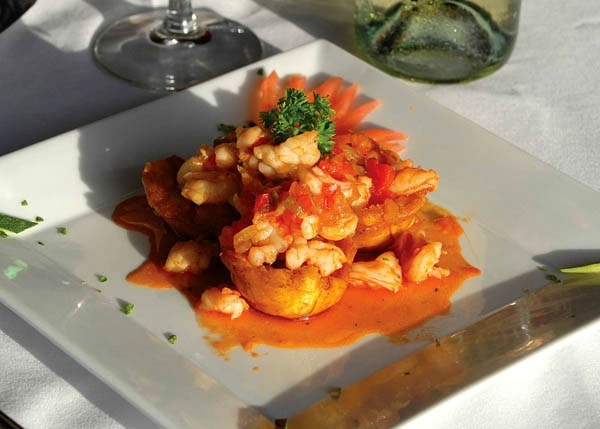 Food can have Caribbean, soul or Creole flair. American Southern cuisine bloomed from the islands. If you find yourself headed to this island paradise, here are some dishes you should definitely try. Conch are always an affordable dish, because of their abundance around the island. 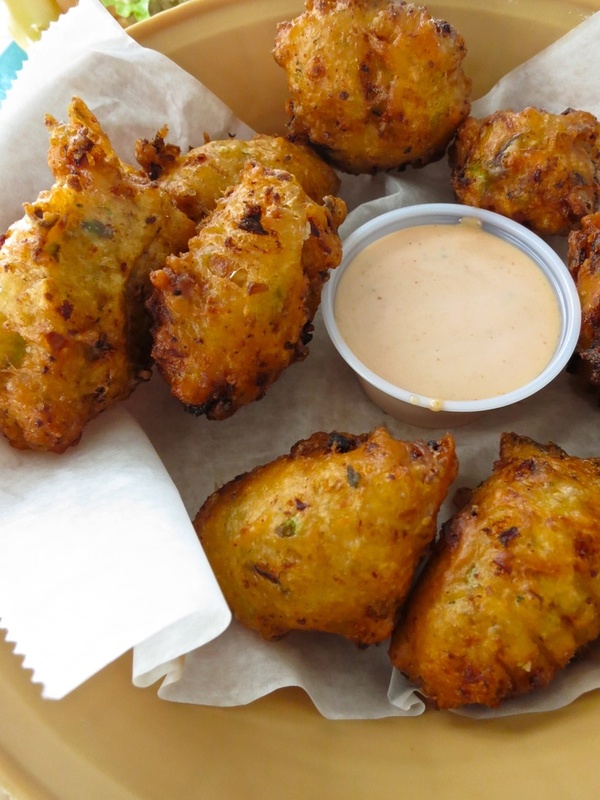 Conch Fritters – I was all over these when I visited the Bahamas and I highly recommend them if you’re headed to Provo. Mostly made from the local Queen conch (pronounced “conk”) these are like a hushpuppy, but served with a spicy creole sauce. 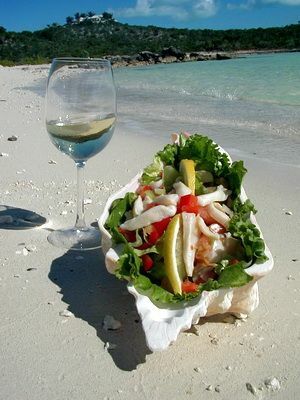 Conch Salad – Basically, this is a ceviche, or a raw fish dish with veggies and “cooked” with some sort of citrus, usually lemon or lime. It’s really refreshing, especially on a hot day. It’s also very light, so if you’re not that hungry, you can eat it as a main dish. It goes great with a fruity cocktail. Conch Chowder – If a hot soup seems like a good idea, you’re going to want to chow down on a bowl of this thick and creamy soup full of conch pieces. Cracked Conch – Oh yes, another dish made with this large mollusk. It’s the island’s answer to chicken fingers. Conch strips deep fried for both a crunchy and juicy dish. These fish are amazing. They can grow larger than some sharks and can create so much suction that they can swallow something the size of a human quite easily (not that they are trying to). Most only grow to about a foot long, and they make tasty, tasty dishes. 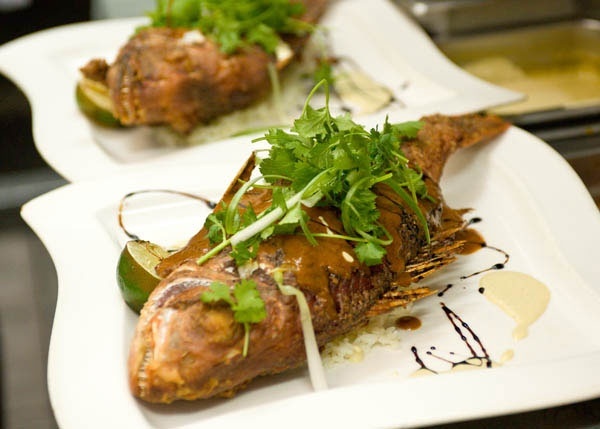 Their prevalence around the islands make them a common fish on menus. 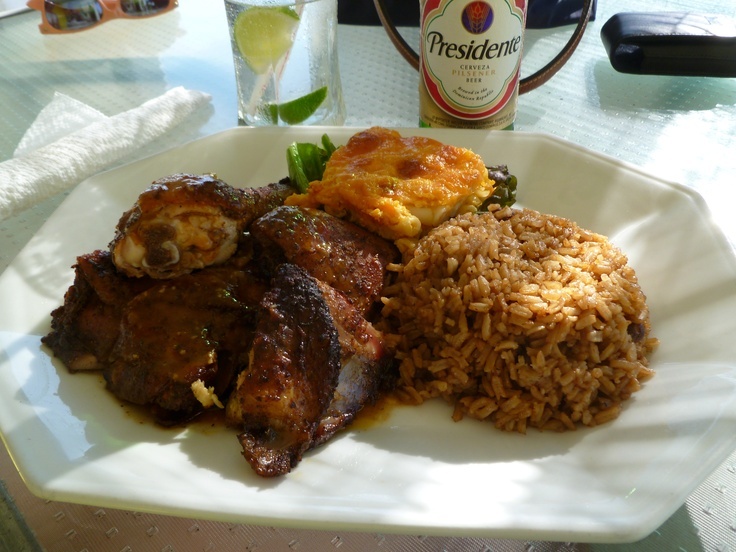 Jamaica is a big influence in the Turks & Caicos and it’s no surprise that their signature dish has made its way to the islands. Made with a spicy and earthy dry rub and grilled, this is one of the most flavorful ways to eat chicken. 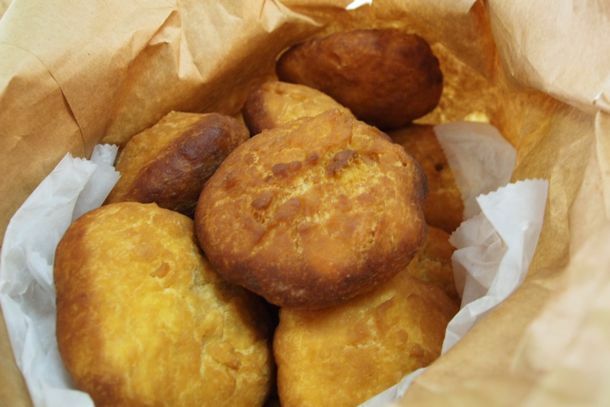 Another local favorite, this is a sweet pan bread that looks like cornbread. It’s perfect for soaking up all those lovely sauces from your main dish. 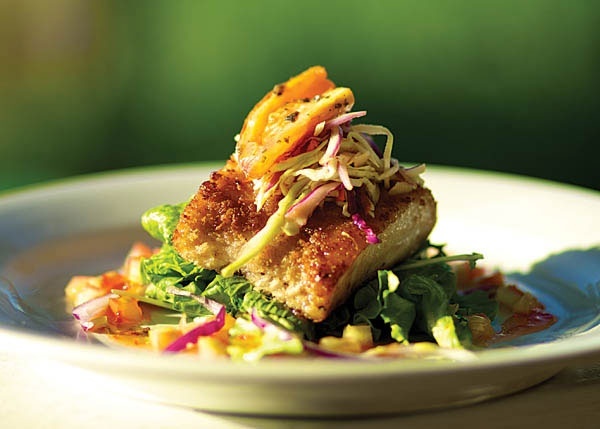 I feel like mahi mahi is the chicken of the fish family, because it’s so meaty. It can be cooked in a million different ways and taste completely different. They are lovely with a fruit salsa. If a good cocktail gets you going, this island favorite is a must-try. 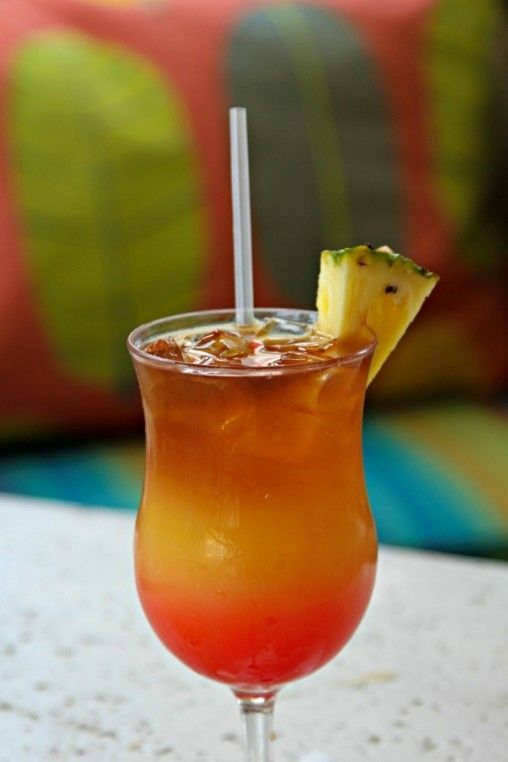 It evokes the feel of the islands with rum, pineapple and orange juice and coconut flavor. It’s a little deceiving, so you may want to order one and then wait a bit before ordering another cocktail. It’s not called a rum punch for nothing. I love snapper. Red snapper is one of my favorite cuts for sushi, but it’s fabulous grilled, steamed, poached or however else people want to make it. 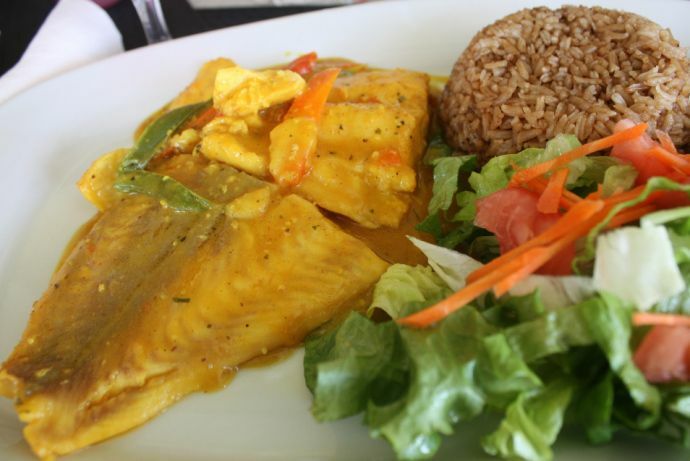 In Provo, you’ll often be served a whole snapper that’s been steamed in a Creole sauce with a side of peas or rice (or peas and hominy). Every Thursday from 5:30p to 9:30p at the Bight (Children's) Park, over a dozen local food vendors, entertainers and cultural acts come together for Island Fish Fry. 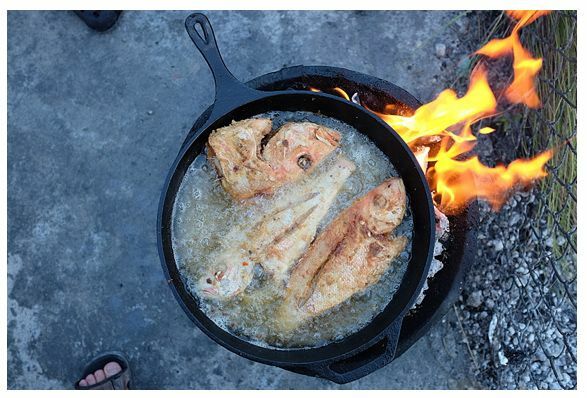 This is a great way to try some delicious fresh-caught fish and interact with the locals too. Of course, there are so many other fabulous foods and beverages in Provo that you’ll come across, but that doesn’t mean they aren’t as fantastic as these that I listed. You can easily try a bit of everything if you’re visiting for more than a few days. Spend more on dining if you want when you find a great deal on lodging through Hipmunk. Easily find a place to stay that fits your budget and then get on with planning the rest of your trip.